If you are interested in getting a Federal Firearms License to be able to buy and sell firearms and other weapons there are several things you must know and understand. 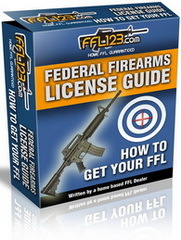 A Federal Firearms License, also known as a FFL, allows you to buy and sell firearms, allows you to receive firearms across state boarders, and gives you several other privileges based on which type of license you get. If you are interested in getting a Federal Firearms License you must know that the bureau of Alcohol, Tobacco, and Firearms handles the processing of a Federal Firearms licensing. 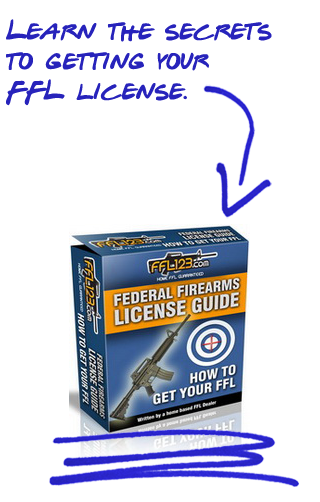 There are multiple requirements in place if you wish to get a Federal Firearms License. Also, you must go through a background check, get fingerprinted, submit photos, and fill out a lot of paperwork. According to the Gun Control ACT Generally the ATF is supposed to give you an approval or disapproval notice within 60 days of receiving your FFL application. Note: This is when they receive all the information in writing. If you incorrectly fill out your federal firearms license or miss any of the requirements you may delay your federal firearms license and have to start the process over, make corrections, or run into other complications. This will mean that the 60 day process can start from the beginning again and again. Fingerprint cards that are unable to be read and need to be submitted. The ATF is required to notify you in writing and to explain the reasons you were not approved on getting your Federal Firearms license. You are given an option to request a hearing to review evidence on why you were denied in getting your Federal Firearms license. If you choose you can appeal the decision to Federal district court according to the Gun Control act. Of course this process can be time consuming and financially prohibitive due to multiple reasons for many people. It is important to make sure that if you submit your application to get a Federal Firearms license then all the paper work is in order, the fingerprints have been done correctly for identification and background checks, and that the correct feel is submitted. Failure to do any of this may delay your success in getting your FFL.